Author/Illustrator John Rocco is leading and participating in three sessions at the upcoming Lucky 13th Annual SCBWI Winter Conference - a keynote at the Friday January 27th Marketing for Illustrators Intensive, "New Methods of Promoting Your Book: Trailers, Co-Op Marketing and More," he'll be on a panel that afternoon in the same Intensive called "Is Self-Marketing Cost Effective? Wise Use of Your Money and Time" and he's presenting in the Sunday January 29th keynote: "Methods to the Madness: The Process of Making Picture books, Featuring the Bookmakers Dozen." Lee: Hey John, glad we could connect! 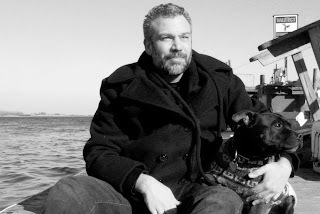 John: Hi Lee, thanks for having me over to your blog-o-sphere! It’s been another busy year but I sure am looking forward to seeing you and everyone else at this years SCBWI conference. Now, on to the questions…. 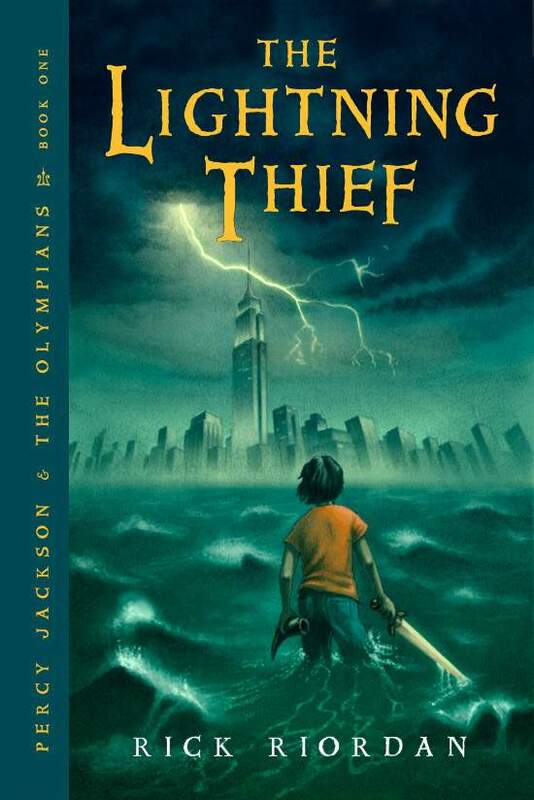 Lee: You've done some incredible cover art for authors like Rick Riordan and his "Percy Jackson" and "Kane Chronicles" series. Can you tell us how you approach doing a cover - do you have a punch-list of sorts from the editor and art director? Do you try to match the tone of the book? How do you do all that and still have it be your "voice" as an artist? John: When I am creating a cover, I ALWAYS want to read the book first. Sometimes a publisher will send you a one-sheet with a description of the book, characters, and what they would like to see on the cover. I do my best to ignore that. (Don’t tell them.) Usually after one or two readings of the manuscript some imagery will start to rise to the surface in my head and get stuck there. That’s when I know that it’s right. Very seldom is it an actual scene from the book, but rather a dramatic moment that conveys the adventure you are about to embark on with the characters. I try to keep the image simple and iconic, with a limited palette so that it can be easily read from across the room at your local independent bookstore. More often than not, you cannot see the characters' faces on my covers. The reason for this is two-fold. One; I want the reader to be able to project themselves onto that character, to become that kid. If there is a very recognizable face on the cover it is difficult to do that. Two: When I have characters facing inward, or into the book, to me it feels more inviting. The reader is then positioned right behind the main character and is going to follow them on this crazy adventure. Another thing I have to keep in mind is that the illustration is only one piece of the cover. 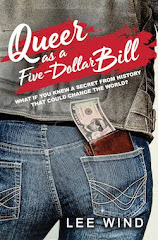 There is also the Title, sometimes the Series title with a logo, the Author’s name, and possibly other things like “New York Times blah, blah, blah…”. So it is important for me to work directly with the Art Director of Designer to make sure that all the elements are supporting each other in a way that makes for a great cover. 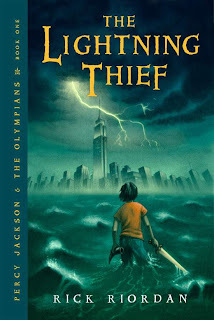 I have been very blessed to work with some great designers, including Joann Hill and Christine Kettner on the Rick Riordan books. Lee: That's fascinating to know why the characters on the cover are sometimes facing into the book! You write and illustrate your amazing and beautiful picture books (Like "Fu Finds the Way," "Moonpowder," and your newest, "Blackout"). How does story evolve for you? Do you start with words, or pictures, or in some other way? John: When I am writing and illustrating a picture book, it starts out as a movie in my head. There is a great quote by Gordon B. Hinckley that says, “You can’t plow a field simply by turning it over in your mind.” I love that. But, I have to say, I do quite a bit of plowing in my mind. It starts with a story. I will write down a couple of ideas, could be just one sentence. Then I plow in my mind for a couple of months while I am working on other things. Then I doodle. Images that I just have to get down. The doodles start to fill up notebooks, then, they graduate to sketches. Words start to form. I start thinking about interesting page turns. I ask myself, “If I want this spread to have impact, what should the previous page show me?”. Lee: I recently learned (from a great talk Scott Westerfeld gave at KidLitCon 2011) that the deer stalker hat that Sherlock Holmes is famous for wearing is actually never mentioned in the text by Arthur Conan Doyle. Rather, it was a creation of the illustrator of those illustrated novels, Sidney Edward Paget. When you're illustrating someone else's text, as you did in "The Flint Heart"
written by Katherine and John Paterson, are you thinking about making the story - and the characters - your own in some way? John: I think there is no other choice. I mean, yes, I spent hours looking at the works of others who delved into the “fairy world”. But I think no matter how any of us are inspired by others, the work will always have your own fingerprints on it. Lee: Your trailer for "Blackout" is remarkable - so different from the pan and scan variety! And so focused on evoking an emotional response in the viewer to transform them into a reader. To get our 'marketing minds' ready for your presentations at the Marketing for Illustrators intensive, are there some other best book trailers you'd suggest we watch? John: Stephen Shaskan has a book called Dog is a Dog. This trailer is simple and clean, and lets you know that this book will be a great read-a-loud hit. Another one that is very simple and effective is Selina Alko’s Trailer for Every-Day Dress-Up. Lee: That Dan is one funny guy! *laughing* Still with my marketing mind-set, what are the top three things we authors and illustrators can (and should) do to promote our books? John: Top three? A lot of that will depend on what your book is about, honestly. But I would say having an internet presence really helps. Talk about it on your blog, facebook, website..etc. Another thing to do is develop relationships with your local independent bookstores. Help them get excited about you and your books. Have launch parties at their store and invite everyone you know. (You have to do all the heavy lifting at first, but as your relationship grows, you will find they will really help you and your books become local favorites.) And lastly, make sure all your relatives know that anytime they visit a bookstore, they must find your books and turn them face out or you will never speak to them again! Lee: Good tips! 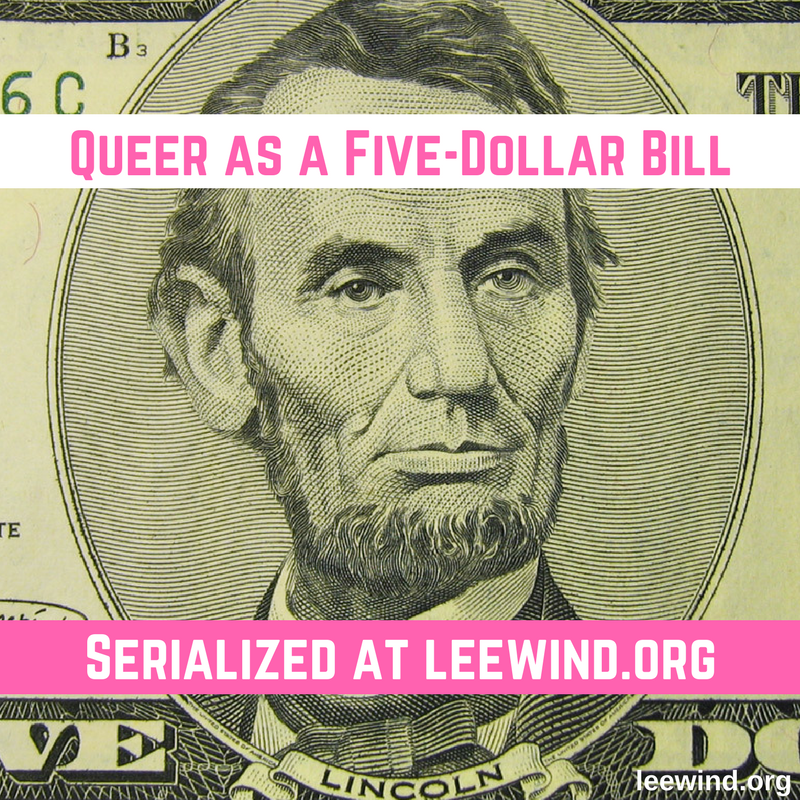 Most books published in the U.S.A. do not feature GLBTQ or characters of color. Your picture book "Wolf! Wolf!" pushed the envelope of cultural diversity by taking 'The Boy Who Cried Wolf' story to Japan... and telling it from the Wolf's point of view! What's your take on the power of illustrators to portray diversity? John: This is an interesting question Lee. To be honest, I don’t spend too much time thinking about it, and yet I do feel that as creators of books we have a responsibility to represent diversity when it is “right” for a book. For example, in my book BLACKOUT, the mother and father are a multi-racial couple. Did I spend a lot of time thinking about that? No. This book takes place in Brooklyn, one of the most diverse and interesting places I can think of. It’s for that reason that it doesn’t feel out of place, or forced. In one spread there are two men walking down the street and one man has his hand tenderly resting on the other's shoulder. Are they gay? Maybe. Did I think to myself, “I better put a gay couple in this book.” No, they just happen to be two of my friends, who happen to be gay and I wanted to put them in my book. Just like I wanted to put one of my editors in the book. You can see Namrata Tripathi on the same spread in the upper right, singing on the stoop. In a book I am working on now there are four boys. One is white, one is black, one is Asian and one is mixed race. I never spent a lot of time thinking about it, I just ended up drawing them that way. They all have very different hair, and THAT was important for this book. The marketing folks asked me if I would change one of the kids to a girl. I could easily do that, but I am not going to. This is a book about four boys. My feeling on the matter is this; do what feels right to you as an artist. If you have the opportunity to represent diversity without it feeling forced, do it. Why not? Lee: Well said! Can your share any portfolio tips with illustrators who will be attending #NY12SCBWI and entering their work in the portfolio showcase? John: Your portfolio should consist of only your absolutely best work. Remember, an art director will look at the weakest piece in your portfolio and think “This is the best I will get from this person.” Start with a stunner and end with a bang. And only put in the kind of work that you want to do. If you happen to have a really great painting of a cat, but you hate drawing cats, leave it out. Also, make sure the work all looks like it came from the same person's hand. It is okay to have more than one style, just make sure you separate those styles in different sections of your portfolio. Lee: What's the best piece of advice you've received as an author/illustrator on your journey in the world of Children's Literature? Lee: I think that works for writers as well. Write what you love and if you love it, other people will too. Excellent - a new mantra. Thanks very much! John: Thanks Lee. See you at the Conference!!! 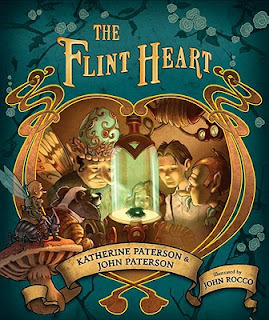 You have the chance to attend John's presentations at #NY12SCBWI as well - registration is still open for the conference! ps - you can check out all the links to the Team Blog pre-conference faculty interviews at the Official SCBWI Conference Blog! 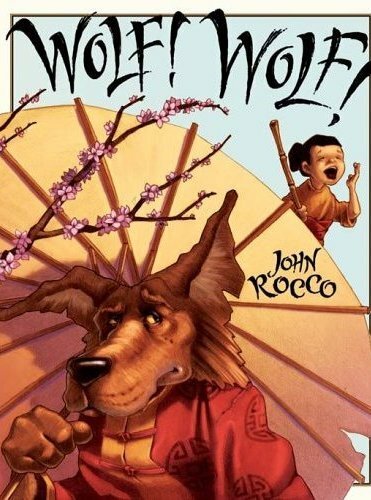 I had the pleasure of hearing John Rocco speak at the Illinois Reading Council Conference last March. I love hearing from illustrators. They are often under-appreciated in the world of literature. Yet, illustrations are really the frontline when it comes to interacting with text. Thanks for your thought provoking questions as well! Lee, this was a very fun and insightful interview. I loved this bit: "More often than not, you cannot see the characters' faces on my covers. The reason for this is two-fold. One; I want the reader to be able to project themselves onto that character, to become that kid. If there is a very recognizable face on the cover it is difficult to do that. Two: When I have characters facing inward, or into the book, to me it feels more inviting. The reader is then positioned right behind the main character and is going to follow them on this crazy adventure." Both points are very intuitive once stated like that. Such a subtlety. Also, John's point about only showcasing your very best work in an illustrator's portfolio because evaluators will look at the WORST offering and assume that it is the BEST they can expect ... that really hit home. I gave up on illustrating my own work years ago, but as an author of many poems I think that this point applies to a mixed poetry sample as well. Great stuff. This is the first time that I've visited your blog, and I will be back! 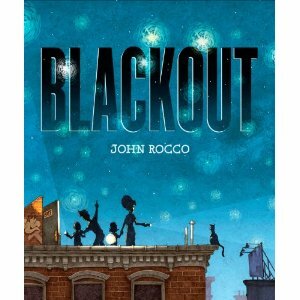 Hi Lee, this is a very comprehensive interview - almost makes up for my not being able to attend the conference and hear John Rocco discuss his process (as you have managed to document it here so beautifully) - I have heard so much about Blackout - all very good things from teachers and librarians, I really hope that I could read it soon. Seems like my kind of book! Thanks for sharing and for your interview. I am looking forward to seeing John at the conference! Great interview with him. Thanks for sharing.